The T-80 is a main battle tank (MBT) designed and manufactured in the former Soviet Union. 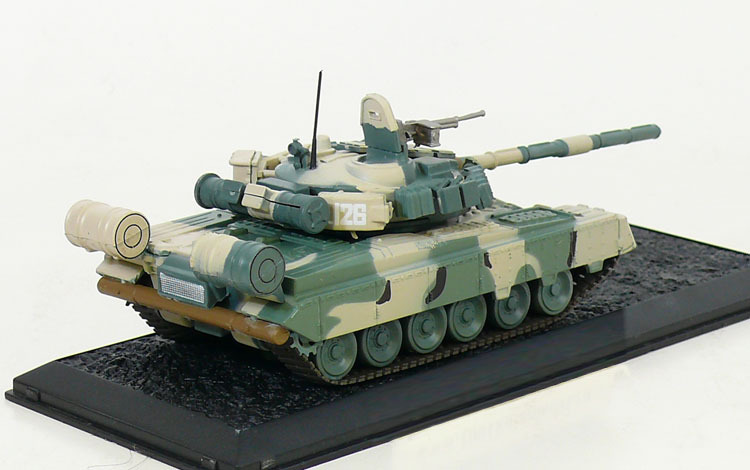 A development of the T-64, it entered service in 1976 and was the first production tank to be equipped with a gas turbine engine for main propulsion. The T-80U was last produced in a factory in Omsk, Russia, while the T-80UD and further-developed T-84 continue to be produced in Ukraine. The T-80 and its variants are in service in Belarus, Cyprus, Kazakhstan, Pakistan, Russia, South Korea, and Ukraine. The chief designer of the T-80 was the Russian engineer Nikolay Popov. 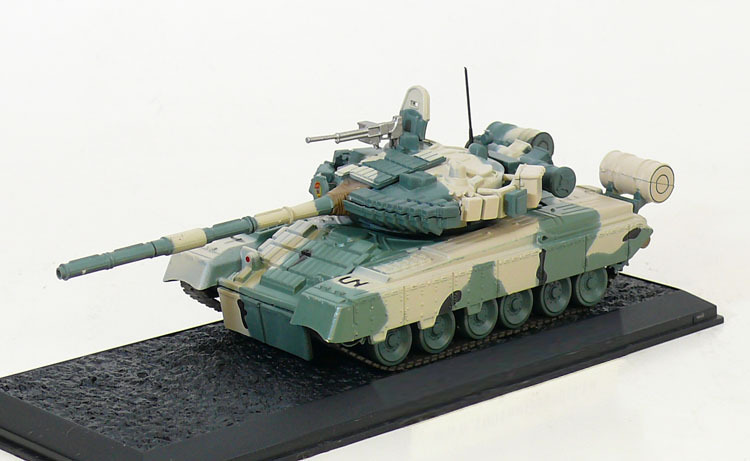 T-80BV (1985): T-80B with explosive reactive armour.